French energy company Total has agreed to develop joint activities in the downstream petroleum sector in Angola, with national oil company Sonangol. Already long-term partners in the upstream business, the two companies have decided to establish a joint venture company to develop a common retail and distribution activity in the country, the fourth largest market in sub-Saharan Africa. “This agreement is in line with our strategy to expand in large growing markets worldwide. Already the largest retailer in Africa, we intend to capitalize on this opportunity to roll out in Angola our offer of products and services and to develop additional synergies, for the full benefits of the Angolan customers,” said Momar Nguer, president, Marketing and Services, and executive committee member, Total SA. While developing B2B activities, the Total-Sonangol joint venture will initially focus on fuel distribution and lubricant sales on the business-to-consumer (B2C) segment, starting with a network of service stations under the TOTAL brand. Under the current agreement, Sonangol will bring in 45 already existing urban and highway service-stations, with a key presence in selected locations in 10 coastal and central provinces. 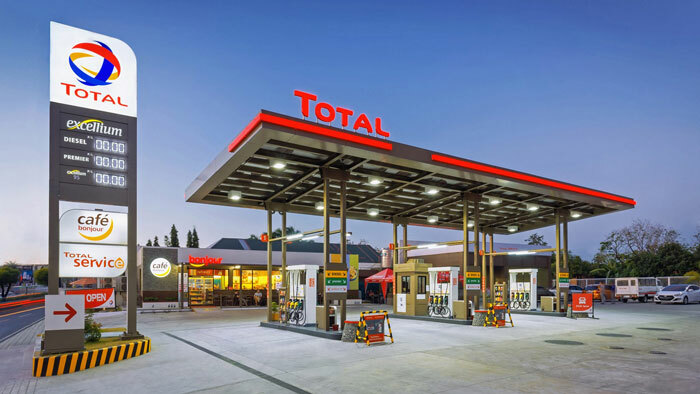 Total will work alongside its partner to rapidly develop this network, in order to meet the highest international retail standards and improve fuel quality distribution throughout the country. The newly-established company will invest in both infrastructure and marketing activities and will benefit from Total’s expertise in retail and its customer-minded approach.